For some time now, people are talking about Jasper Stuyven as one of the future stars of the cobbled Classics, in which he already shined as a Junior and U23 rider. Altough is always difficult to say what a youn cyclist will and can do over the years, one thing is certain: the Belgian rider of Trek Factory Racing has the talent and potential to make a name for himself in the future seasons, and not only in one-day races, but also in stage races, where his strong sprint can help him notch wins. Despite not taking a victory in 2014, the 22-year-old Belgian rider showed what he is capable of from his first season in the pro peloton, getting to race all the important cobbled Classics, and also making his debut in a Grand Tour. Making a quick summary of his year, Jasper Stuyven has had 66 race days and 12 top-10 placings, eight of which came in the World Tour. What did he had to say on his very good year? Find out from the following interview. 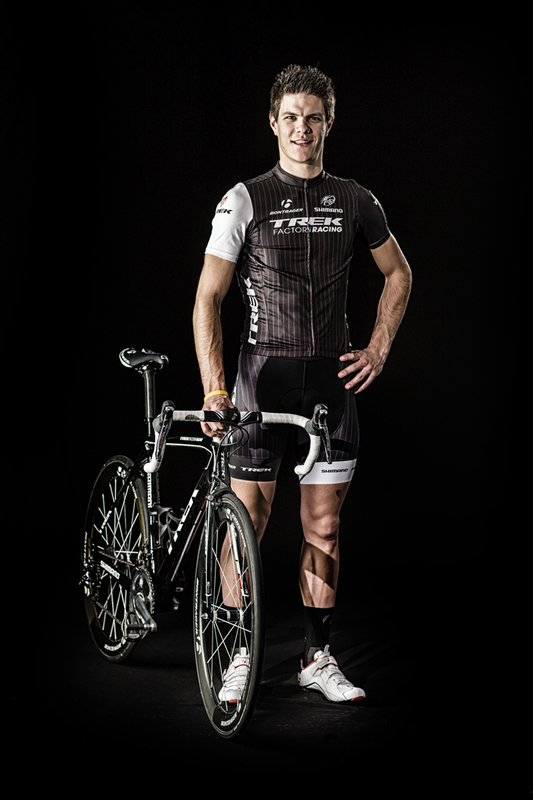 – Jasper, the fans have voted you the best neo-pro of 2014 on the Cafe Roubaix poll. How was this season? I am pretty happy with my season. I wasn’t scheduled to do all the big Classics, but because the team was pretty happy about my form and the way I knew the roads, I was able to do them all. Then, at the end of the season, I got the chance to start in my first Grand Tour and delivered some impressive results. So although I did not win, I gained experience and I had a peak form in the World Tour races, where is very difficult to win. – You are a Junior Paris-Roubaix winner and this year you’ve raced in the elite version and finished 55th. How was that day? For me, Paris-Roubaix was a beautiful race, during which I raced on Fabian’s (ed. Cancellara) side and was able to work really hard for him. Of course, you can always ask yourself “what if I didn’t have to pull?”, but that is part of the job. My result says nothing. Also, Paris-Roubaix was my best day in the Classics this year! I just loved riding there, getting on the cobbles, and I also loved that I could still ride at the front for Fabian, at the same time controlling the gap of the breakaway. – What meant the whole Vuelta experience for you? I was nervous to start in my first Grand Tour and because we went there without a big GC leader, I think it made it possible for me to take it “easy”, without too much pressure from the team. The most difficult thing was to get through the days I didn’t feel good, mentally and physically, but so I learned that I am recovering pretty well. Of course, there were some good and bad days, but if someone would have told me before the start that I’ll finish eight times in the top 10, as a neo-pro, I would have signed for this immediately! – Your were known to have a good sprint from the U23 ranks, but your sprinting skills were really impressive in the Vuelta. Did you train to improve this during the season? Actually, I did not train on my sprinting skills at all in the past season, although maybe I should have done it after the Classics. I just trained really hard and well preparing for the Vuelta and without having a “real” sprinter of Trek Factory Racing there, I was able to go for my own results and I didn’t have to do some lead-out work. – What’s your schedule for 2015? Normally, I will start my season in the Tour of Qatar again. Then, in the first part of the season, I will be all in for the Classics. – Do you hope to start the Tour de France? I am not yet really interested in riding the Tour at this moment. For sure, I want to ride it someday, but no kind of pressure on me in this regard. – And what personal goals will you have for 2015? I just want to perform really well in the Spring Classics and give my best also in all the other races that I will do. Of course, it would be nice if I could say at the end of 2015 that I’ve won an important race.